What is an online booking system? What is an online booking system? In short, an online booking system is an online interface which enables customers to book the services that you offer in the form an appointment. With an online booking system, businesses and professionals alike are in control of the services and available slots that are bookable by clients. Setting buffer time and configuring recurring appointments is also possible with many systems. Advanced booking systems such as the 10to8 online booking system will also allow for booking pages to be customized and branded. What is a scheduling tool? A scheduling tool is a software application for scheduling appointments, rooms, or inventory. Popular scheduling tools such as 10to8.com, are provided online using a web-based application. A scheduling tool will often include an online booking system and calendar. The benefit of an online scheduling tool is the fact that it can be accessed on any device, therefore, you have your schedule with you wherever you go. The main purpose of a scheduling tool is to help businesses and professionals alike coordinate appointments and manage their time effectively. Appointment scheduling important as in business you’ll often encounter a variety of key appointments, such as a job interview, or critical business meeting. Ensuring that you are punctual, and have time to prepare ahead of time is key to success, and a good online scheduler can help to accomplish such goals. Online scheduling software provides businesses with a means to efficiently manage appointments via an online calendar. Online scheduling allows for customers and prospects alike to book appointments, services, or even a product demo with businesses both quickly and easily via an online booking page. Placing a ‘Book Now’ button on your own website is also a sure-fire way to increase online bookings and even repeat business. How do you make an appointment for a calendar? To efficiently make an appointment for a calendar you’ll first need a free online booking calendar, which would facilitate for bookings. With online scheduling software, you can offer customers the added convenience of online booking, whereby appointments can be booked via your own customizable online booking page. With 2-way calendar sync, bookings can seamlessly be shared between external calendars such as Google. What is online appointment system? An online appointment system otherwise referred to as appointment scheduling software is a tool that empowers businesses to conveniently take and manage appointments and or bookings online. An online appointment system can help small businesses look more professional by allowing them to set up and customize their very own booking page. The best online appointment systems will often include features such as automated SMS & email reminders, 2-way client chat, and external calendar sync. What does an appointment scheduler do? An appointment scheduler empowers businesses and professionals alike to effectively manage appointments, bookings, and their time. Appointment schedulers will commonly include an online diary system, which can effortlessly sync with external calendars such as Google, iCal, Outlook, and Exchange. A free appointment scheduler such as the one provided by us here at 10to8.com will also be packed with features including 2-way chat, free SMS reminders, and integrations with over 500 apps. What is a reminder system? A reminder system is often implemented by service-based businesses and professionals across a range of sectors encompassing healthcare, beauty and spas, therapists, and education. A modern-day appointment reminder system will comprise automated SMS and email appointment reminders. The goal of an effective reminder system is normally to reduce costly appointment no-shows. Yes! 10to8 is HIPAA compliant. If you are using 10to8 for medical appointments in the US, then you will need to enable our HIPAA security features, which will help you to use our scheduling software in a fully compliant manner. 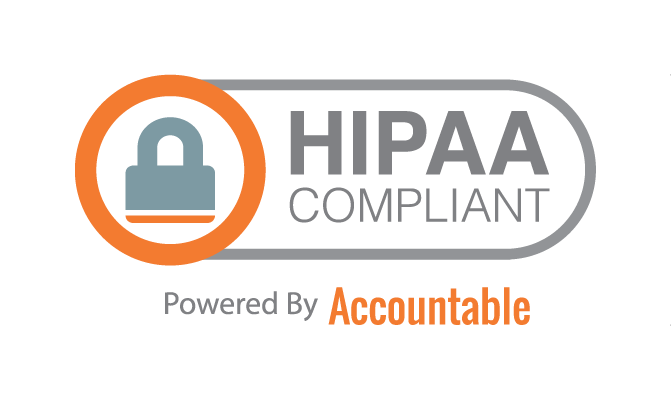 Please see our support article HIPAA Scheduling Software All You Need To Know for more info and an easy to follow setup guide. What is an online appointment? An online appointment typically refers to exactly that, a booking for a service made via an online booking system. An online appointment could be for a service, such as a dental appointment, for example, a meeting, or any number of reasons. While the booking for the appointment is made online, the actual appointment may take place over the phone, or in person at a later time and date as agreed at the point of booking. How do I set up an online booking? If you want to set up and offer an online booking service for your clients, then you can do that with the help of a free online scheduling tool. You’ll benefit from an online booking page which you can customize with your own branding. Furthermore, with a good online booking system, you will be able to seamlessly integrate and offer an online booking facility via your own website, and even add ‘Book Now’ buttons to Facebook.